• promotes these green endeavours through the SLOVENIA GREEN brand. GSST is managed by the Slovenian Tourist Board. 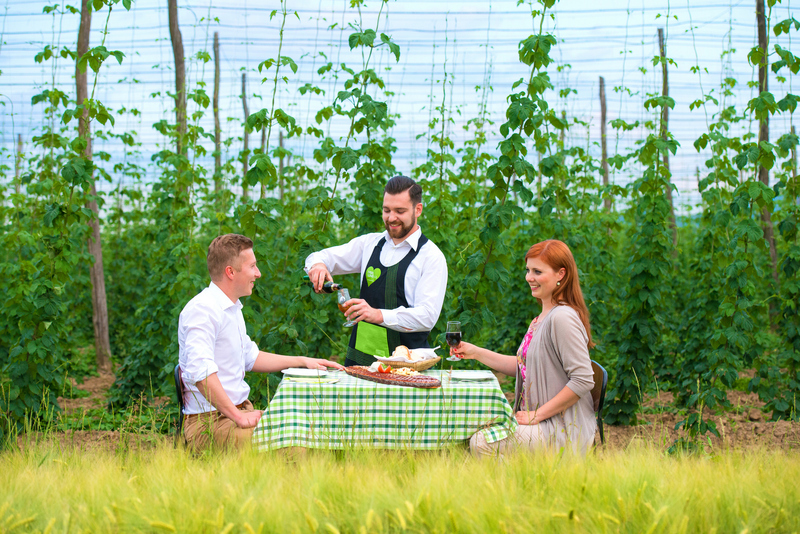 STB develops the scheme, offers educational support, and also establishes promotional channels in the international tourism market for the promotion of Slovenia Green destinations and service providers. Its accredited partner, Institute Factory of Sustainable Tourism GoodPlace, has a licence to make assessments using the Green Destinations Standard and is a Green Destinations partner. The Slovenian Tourist Board has pledged itself to sustainable development already in 2009 with the strategic guidelines and actions for sustainable development. In 2010, a Manual for hotels for implementation of sustainable business models was published and in 2011, a Partnership declaration for sustainable development was solemnly signed. In 2014, the national strategic guideline - Green Scheme of Slovenian Tourism - was adopted and in doing so, Slovenia has taken an important step towards the better sustainable development of the entire country. Businesses and destinations are now guided into switching towards sustainable, i.e. green, development. The GSST is based on global criteria, is globally recognised, and enables international comparison. It operates on two levels, level of destinations, including protected areas, and level of tourism businesses (hotels and tour operators/travel agencies). The levels are closely connected - the destination motivates key interested parties to operate sustainably and carry eco-labels, since a green destination can only be credible if it has a critical mass of certified service providers. Destinations, protected areas and businesses undergo sustainability assessment after which they are awarded a Slovenia Green label. Processes and conditions vary, depending on the type of organization. Destinations follow a highly structured process of workshops, on-line tool, and questionnaires, a combination of Green Destination standard requirements and European Tourism Indicators System, after which they are awarded gold, silver and bronze certificates. Since the GSST is process oriented, all awarded destinations must regularly report to the manager and submit a sustainability action plan. Businesses on the other hand are encouraged to obtain one of the 6 eco labels the GSST endorses: Bio Hotels, EMAS, EU Ecolabel, Green Key, Green Globe or Travelife, after which they receive a Slovenia Green label. Protected areas can choose between 2 international labels (Europarc charter, Unesco Man and Biosphere Programme) or decide to follow the process for destinations. So far the story about GSST has been a story of success. Not only has the scheme been presented at numerous international conferences and occasions as the approach to systematically address sustainable tourism development, it has also won awards such as the National Geographic Destination Leadership award in 2017. Last year Slovenia underwent a sustainability assessment within the GSTC Destination Criteria and was declared the world’s first green destination, achieving 96% compliance with the criteria.